I bought a delicious looking vinegar, flavoured with lemon, basil, bay and juniper which made a deliciously flavoured dressing. 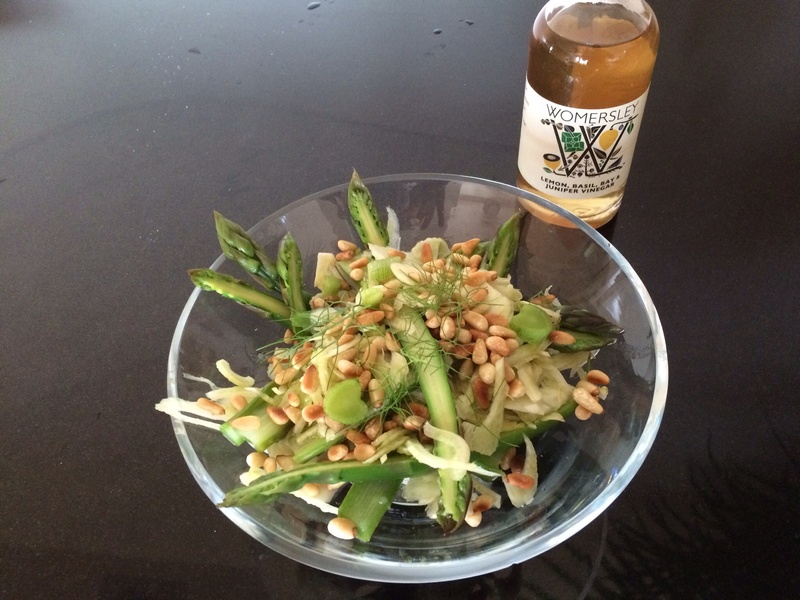 You can make a lovely simple dressing for this salad with a simple vinaigrette though! Slice the fennel very finely and taking out the tough central core. Blanch a bunch of asparagus in boiling water for a few minutes and then plunge into cold water to keep it looking vibrant green. My asparagus spears are quite thick so I am slicing them in half, but you don’t need to if they are nice slim spears. Toast the pinenuts in a dry frying pan, moving them around the pan so they don’t burn. They don’t take long. Mix 1 Tbs Wormersley lemon, basil, bay and juniper vinegar with 3 Tbs light olive oil. 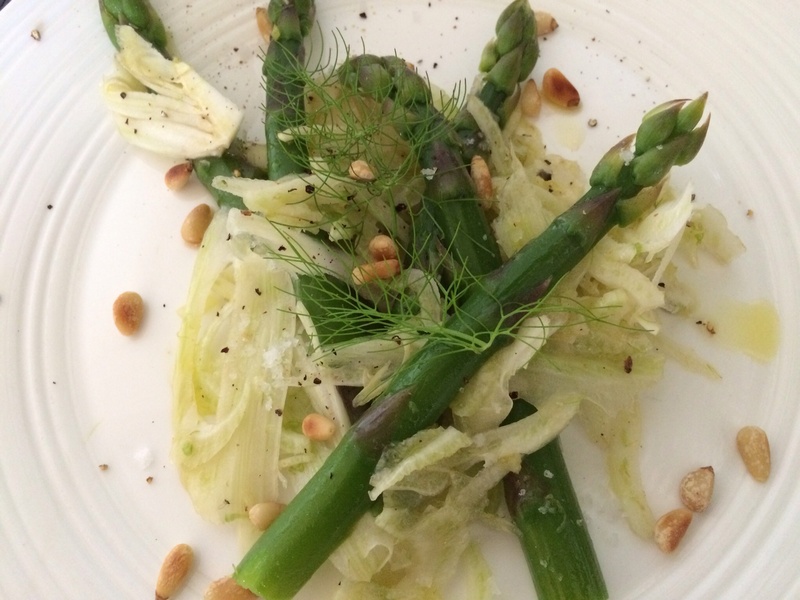 Dress the fennel and asparagus with this and the toasted pinenuts. Delicious! ← Spicy chicken thighs with spinach couscous.